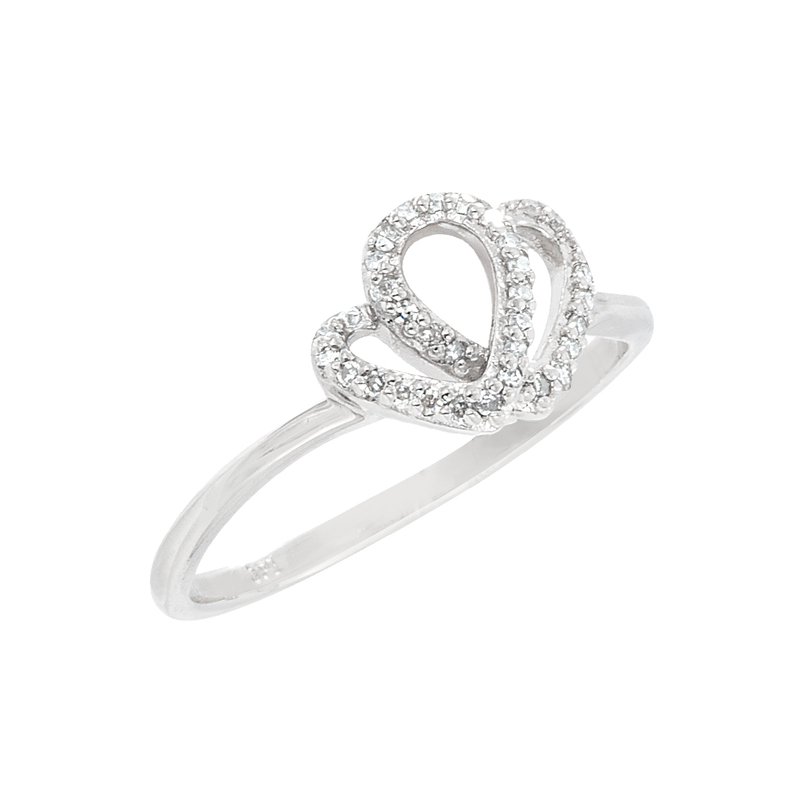 10 karat yellow or white gold double heart ring with .10 ctw in diamonds. Also available in sterling silver for $139. 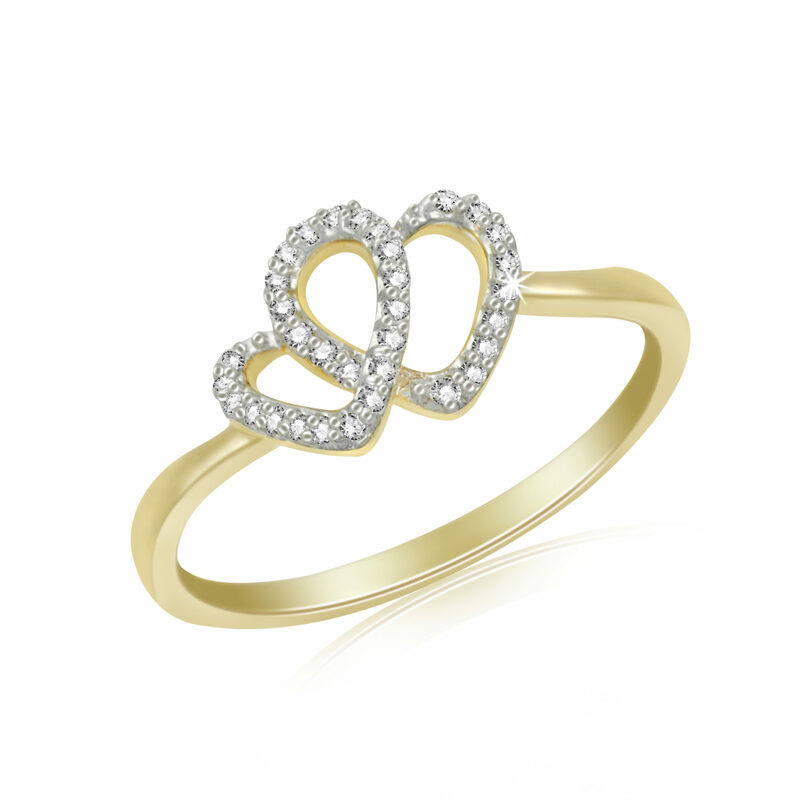 I am requesting information for Gold Diamond Double Heart Ring.